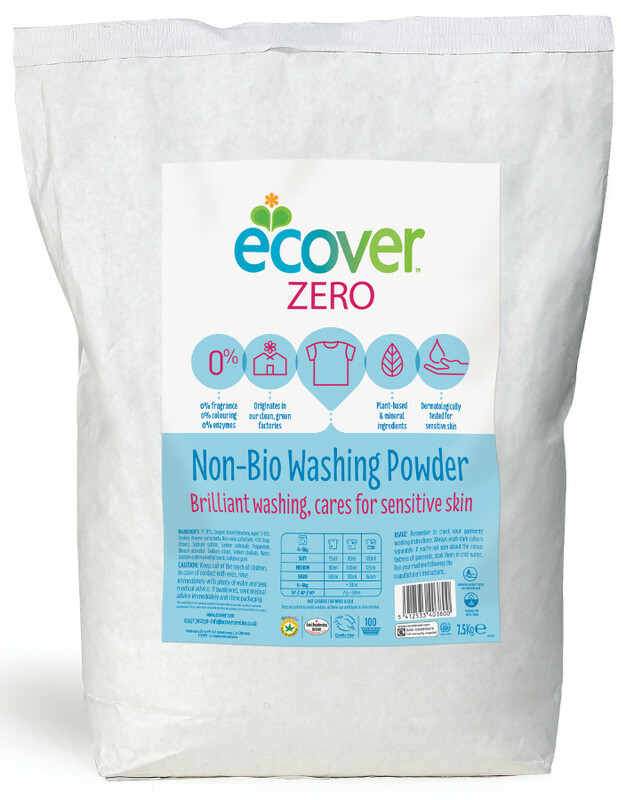 Leave your clothes fragrance free and fantastically clean with Ecover non-bio ZERO Washing Powder. 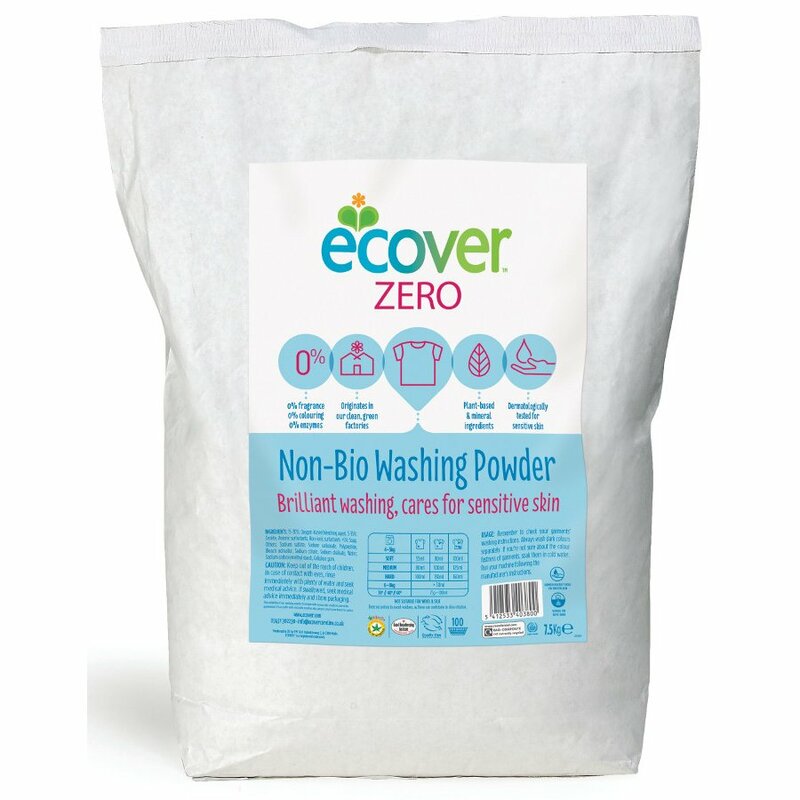 Ecover washing powder is made with plant-based ingredients and leaves no residue of unnecessary chemicals, is suitable for septic tanks and has minimum impact on aquatic life. 15-30% Anionic surfactants, Zeolite, Oxygen-based bleaching agent, 5-15% Non-ionic surfactants, Sodium silicate, <5% Soap, Bleach activator, Polypeptide, Sodium citrate, Cellulose gum, Sodium sulphate, Sodium gluconate, Sodium bicarbonate. There are currently no questions to display about Ecover Zero - Washing Powder 7.5kg.